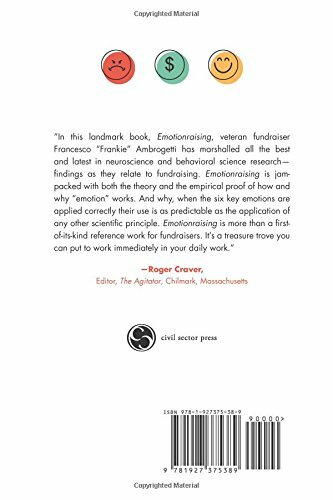 “If you’re an experienced fundraiser, you probably already knew about which emotions motivate more giving. Well, this is where Emotionraising really earns its keep: All this stuff is cited and footnoted. “Ambrogetti, a professor of fundraising at Bologna University with real-world fundraising experience, has approached the subject with an academic microscope. Most books about fundraising (including mine) are based on a practitioner’s experience. This one is based on the studies and research behind it.